H2-Pro services Eltham area 24 hours and 7 days a week. Call us now! Found 20km northeast of Melbourne’s CBD, Eltham has experienced great growth while still maintaining many beautiful leafy reserves and tree-lined streets. The old meets the new here, where older, larger homes begin to show their age through disintegrating plumbing, while newer (and sometimes smaller) developments require periodic plumbing maintenance, too. Bordering Warrandyte along the Yarra River, H2-Pro is pleased to extend its excellent service to residents of this growing suburb as well. If you need a plumber in Eltham, you can rely on H2-Pro for speedy and effective solutions! Properties in certain areas of Eltham are now ready to connect to the new sewer system! The new system is designed to improve public health and reduce some of the poor odours currently affecting the local area. If you live in Eltham (particularly Eltham South) your home can now be connected! 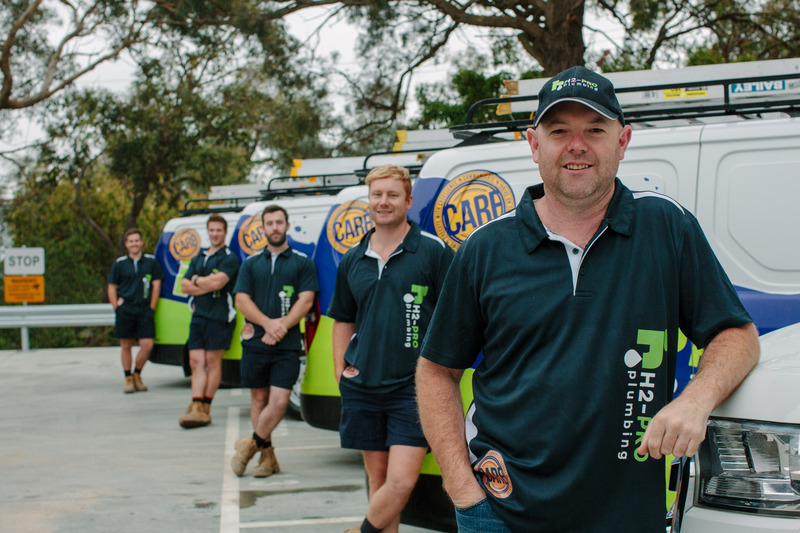 Organise a visit from the team at H2-Pro – we’re local plumbers servicing the immediate suburbs around Eltham (including Mitcham, Templestowe, and Blackburn). Call us now on 9844 1444 or contact us here. Disaster can strike at any moment. Pipes can burst, toilets can overflow, and hot water systems can fail. A pipe leak can cause extensive damage to the foundations of your home unless it is rectified immediately. Depending on the severity and size of the crack, it could be repaired, or it might have to be replaced. Corroded pipes are common in older piping systems, so you might have recently noticed reddish-brown water coming from your taps. While not a direct health concern, it can have an unpleasant taste. Find an experienced plumber in Eltham who can detect a problem and provide a solution. Do you remember the last time you had your drains cleaned? A build up of dirt, hair, food, grease, oil, and silt can all build up over the years to cause blocked drains. If water flow and draining is impeded in your kitchen or bathroom sink, or backup is occurring in your toilet (yuck! ), then it’s time for H2-Pro to show your drains some love and care. The fact is, most household plumbing materials have a general lifespan. While these might reach 50 or 60 years (or even longer), there will eventually come a time where your home’s plumbing needs repair or replacement. H2-Pro provides complete plumbing care to Eltham customers, so give us a call today: 9844 1444. Distance from H2 Pro? Eltham borders Warrandyte, so we are just a phone call away!